Mention Ibrox and typically one thing springs to mind, the iconic home of Rangers Football Club. 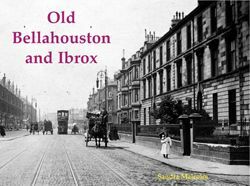 The area of Glasgow surrounding the stadium however has a rich and at times even opulent history as the beautiful buildings photographed and included in this volume demonstrate. A key site of industrial expansion in the late 18th century, some of the homes built here, represented the last word in 18th and 19th century middle class luxury. Of particular note are the lovely villas on Walmer Crescent, designed by Alexander 'Greek' Thomson; Bellahouston House, built by William Waddrop around 1790 on Dumbreckhill and also of note is the imposing Bellahouston Academy which opened on 26th of August 1876.